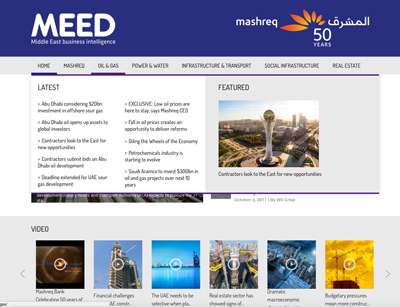 Established in 1957, MEED, has been integral to delivering business information and news, intelligence and analysis on the Middle East economies and activities ever since. Mashreq Bank has partnered with MEED to create MEED Mashreq Construction Hub as part of its strategic focus on industry specialization. 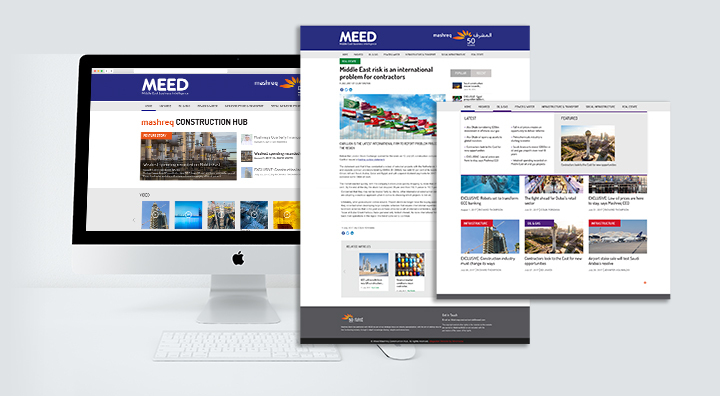 The Meed Mashreq Construction Hub presents unique and specialised content with text, images and videos. The content must be easy to find with interlink between articles and easy to share on social networks. The site must be responsive so it works on different devices and easy to administer. The site design must be related to other MEED and Mashreq products but not a direct copy. Visitors to the site must see the site as a collaboration between the two companies and not a take over by one. We build a bespoke website theme built on WordPress. We worked closely with the branding departments of both companies to create a website design that works for both. We then worked with the content creators at MEED to produce a taxonomy, search tool and post linking. Our aim was to produce a site that users find informative and easy to use.